The Ayers family watched America grow. Obadiah Ayers, born in Suffolk, England in 1635, was the first of his family to set foot in the New World. He lived in Woodbridge, New Jersey, when New Jersey was still a Dutch colony. The colony became an English colony in 1664. Obadiah’s son, John Ayers, was born in 1662, the same year that Connecticut was chartered as an English Colony. John Ayers’ son, Nathaniel, was born in 1700, one year before Yale College was founded, six years before Benjamin Franklin was born. Nathaniel Ayers’ son, Moses, was born in 1732. He was the first of his family to live in what is now Allegany County. Perhaps he came through here with Gen. Edward Braddock in 1755, when Braddock blazed a trail over the Haystack and Savage mountains on his way to Fort Duquesne. Moses would have been a contemporary of George Washington. Moses was the father of Samuel Ayers Sr., born in 1775, the year before Congress adopted the Declaration of Independence. He was a young boy during our fight for independence from England; he witnessed the birth of a new nation. Samuel Ayers, Sr.’s son, Samuel Ayers, Jr., was born in 1801, the same year President Thomas Jefferson expanded the U.S. territory with the Louisiana Purchase. Samuel Ayers, Jr. was the father of William Ayers, born July 30, 1826, in the Georges Creek Valley. In 1850, William was a 24 year-old boarder at an inn operated by Cornelius Garey. This is where he first met his wife-to-be, Catherine Garey. William and Catherine were married on May 29, 1851. William, like his predecessors, was a farmer---a satisfactory way to feed his six growing children. 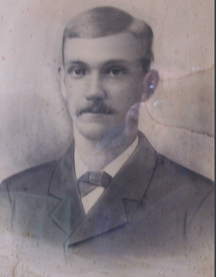 William Ayers’ oldest son, John Thomas, was born June 25, 1852 at the home place in Barton. He was a nine-year old boy at the start of the Civil War. While Moses Ayers, his great-great grandfather, witnessed the birth of our nation, John saw it being torn asunder.Unlike his ancestors, John was not a farmer. He chose to be a coal miner, living at home to help support his parents and siblings, until he married Miss Sarah Penman on October 12, 1884. John and Sarah lived next door to his parents in Barton. They were raising two sons and a daughter: William John Ayers, born in 1885, George Washington Ayers, born in 1887, and Janet Campbell Ayers, born in 1889. John worked at Potomac Mines, a series of drift openings on both sides of Moore’s Run near Barton. On Monday, January 13, 1896, John was killed by a fall of roof coal. He was 43 years old. His funeral was attended by his large extended family, his wife and children, the Knights of Pythias, and the International Order of Odd Fellows. He was laid to rest in Laurel Hill Cemetery in Moscow, Maryland. The Ayers family legacy is representative of our own family genealogies. John, a coal miner who died prior to the turn of the 20th century, would have been proud of his ancestors who witnessed the building of The United States of America.